Oscar De La Hoya is making sure that he makes good on his promise of.. 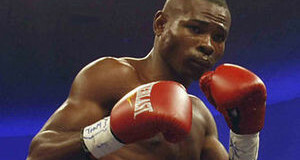 The man regarded by many as boxing’s most boring fighter, Guillermo Rigondeaux (14-0, 9 KO’s),..
HBO Boxing and Top Rank Promotions will be televising a boxing event from the Venetian..
A boxing event is can leave a controversial trail when judges render bad decision. But..
Self-proclaimed pound for pound king, Floyd Mayweather, Jr. has asked his September 13th challenger, Marcos..